Your father moved into a retirement home after your mother passed away because he was lonely and he couldn’t cook. The retirement home provides meals and there are other people around, but he’s still feeling lonely since it wasn’t as easy to make new friends as he had envisioned. Lately, he has been struggling with incontinence, and he’s nervous to leave his room for fear of being incontinent in public. Moving into a retirement home was supposed to solve his loneliness and provide him with activities and new friendships…instead, he is confined to a room that is much smaller than his house. Staff try to coax him out of his room, but they have many other residents to attend to and can’t remain at his side. 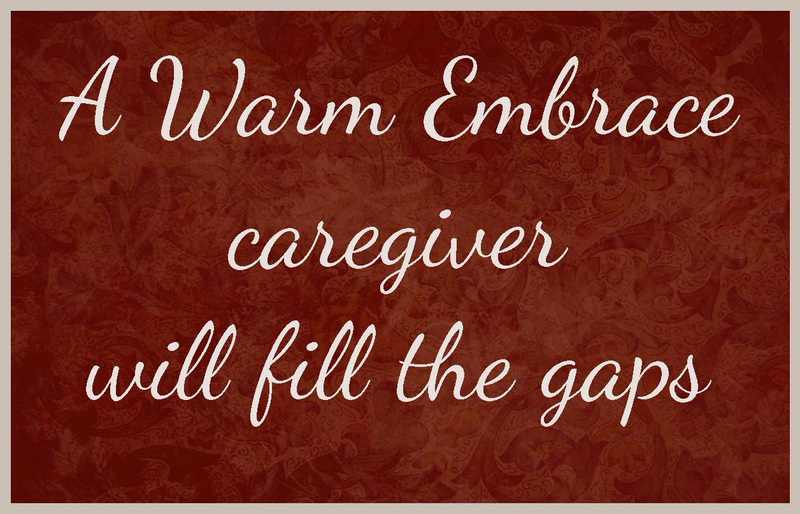 A Warm Embrace caregiver will fill these gaps. We can spend one-on-one time with your father, encouraging him to join activities, offering to assist should he not make it to the washroom in time. When someone is incontinent, a lot of laundry is produced and it can feel overwhelming to stay on top of it all. A Warm Embrace caregiver will discreetly ensure that laundry is done daily and that bedsheets are replaced. While retirement homes typically provide weekly laundry, higher frequency is required when incontinence is involved—we fill those gaps. Retirement homes will outline all the services they provide and how much assistance can be provided to individuals. Since they have many residents to consider, they must adhere to their service offering. If a resident begins to require more care than is offered by the retirement home, that home may no longer be a suitable living arrangement. Providing the additional care for your parent allows them to remain living in the retirement home of their choice for much longer, potentially delaying the move into a nursing home. Additional care also fills the gap if your loved one is waiting for nursing home placement but wishes to remain in the retirement home until a bed becomes available. 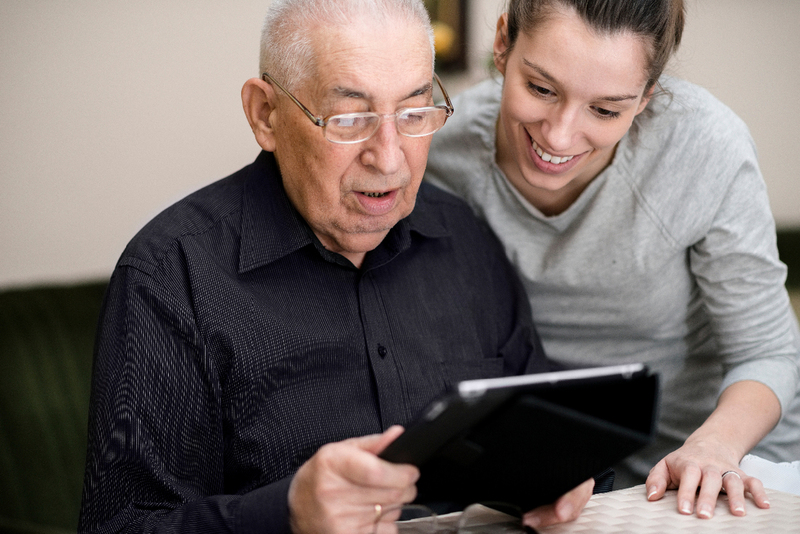 In addition to the practical assistance we can provide, the social connection offered by a caregiver can have positive health benefits for your parent. Your parent will feel more connected and have something to look forward to each day or week. Instead of being so keenly aware of the losses they are experiencing (loss of ability, loss of hearing or sight, loss of licence, etc), they will be able to celebrate the addition of a new friend. Their new caregiver friend will have a proactive approach, introducing elements of Triple Vitality to help your parent remain active and vibrant!